Are you looking for what is the best moving service in N6? No matter whether you are moving your entire home or office, or you just need a bulky piece of furniture delivered to a specific location in Highgate, we are the right people for you. A man and van in the area of Highgate coming from our firm would be the ideal solution to any line of relocation work. All our vans are clean and GPS navigated, and the safety of your goods while on the road is guaranteed by removal blankets, belts and high quality packing supplies that are all part of the moving service that we offer to you here. Just give us a call and we are going to make all the necessary arrangements for the job. From planning to packing to actually transporting your goods in one of our MWBs, LWBs or SWBs (depending on the scale of the project in question), we will cover all the basics. They are precisely the people that you want by your side when you have something to move across N6. Hurry up and book a man and van in Highgate from us, because you know that is just the right thing to do. Our packing solutions will perfectly add up to the moving service we offer to you here. Our packers will prepare your goods for the road quickly and efficiently and you will not have to worry about a single thing while they do so. We use durable double walled removal boxes and all the proper methods and supplies. We are based and operating in the suburban area of Highgate to the north of Charing Cross. 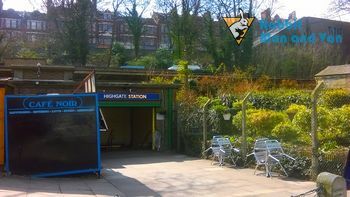 Highgate is very well known for being among the most expensive places in the capital to live in, mainly because of the high property prices here. Notable locals include the Rock star Ray Davies of the Kinks, Leslie Compton, formerly an Arsenal footballer and a Middlesex cricketer, and Former Newcastle United striker Nile Ranger among many other.